Free Internet Calling On Your Smartphone! Free Internet calling has evolved a lot over the years. Here you'll find a discussion about how it works, as well as options for you to consider as you figure out what will work best for you. By now most of the planet is aware of Skype and its advantages that allows people to make free calls, however, with the popularity and technology around smartphones, there are some much more compelling options now available! Making free phone calls all boils down to a technology called VoIP, which stands for Voice Over Internet Protocol. What that in turn means is breaking down voice calls into data that is then routed through the Internet. This technology didn't used to be very reliable or good quality. However, modern VoIP technology is generally comparable to the quality of landline calls. The real trick was that with normal (non-voice) data, the order in which pieces of data (called packets) is sent and received, and any slight delay between receipt of these packets doesn't really much matter. For example, when streaming a movie, pieces of the video can be sent slightly out of order, and with slight delays, and re-assembled properly without you even knowing, as our computers will correctly reassemble them without us even noticing. However, with voice conversations, the timely and orderly delivery and receipt of these packets is obviously extremely critical. Certainly the wrong order would make for a funky conversation (! ), and any delay would make the conversation choppy and painful. 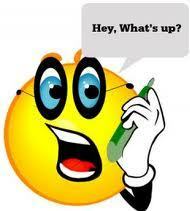 Quality free VoIP calling is now available as the technology behind it has greatly matured. I wouldn't describe it as perfect, however, with the occasional exception, it's pretty close to unnoticeable. At this point we can say that free Internet calling is a reality because our Internet Service Providers (ISPs) charge us for a certain amount of data per month, or we have unlimited plans. So even though we may be paying for Internet access, there's usually no incremental cost to using our data connection to make free voice calls. And of course, if you're at a free WiFi location, someone else is paying for the Internet connection. If you buy Internet at home just to make phone calls, you couldn't obviously consider that to be free calling. Free Internet Calling WILL End! As people move towards Internet-based hardware and applications to watch movies, television, and make phone calls, there's no doubt that the pricing models for Internet access will change dramatically. While Net Neutrality laws prevent providers from charging differentially for accessing Web vs. video vs. voice calling, as overall data usage increases, we'll start seeing higher priced Internet packages. So with that said, enjoy free Internet calling while you can, but keep in mind that ultimately it won't last forever. What Are Your Options For Free Internet Calling? Google Hangouts is a great app for not only making VoIP calls, but also for text messaging. If you're not a fan of Google products in general, you really should still at least consider this option before dismissing. I like that I can integrate all of my text messages from my work phone, as well as from my Google Voice number, including voicemails. Unlike the Google Voice app, it also supports MMS (i.e. picture messaging). I do, however, find that it reduces the resolution of pictures too much, such that if you want to post a picture someone sends you to Facebook, you'll find that the resolution is too low. That said, for my purposes it works great. You can also initiate VoIP calls directly from Hangouts, or use the Hangouts dialer. In addition, you can also set the phone's default dialer to Hangouts if you want all calls to go through the app. Lastly, an added benefit of Google Hangouts is the desktop app, which allows you to send text messages via your computer (i.e. much easier and faster to type!). 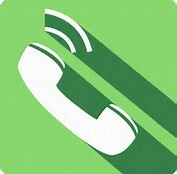 GrooVe IP is a smartphone application that connects calls using Voice Over IP (i.e. VoIP). If you have a phone without a service plan (i.e. it has no phone number), you can even use this app to get a phone number, and make free calls over any WiFi connection. GrooVe IP is a nice little app, with free and paid versions. The free version is ad based, and allows you to accumulate calling credits by watching videos or completing offers. You can also text and call other GrooVe IP users for free, anywhere in the world. Lastly, note that you can integrate the app into your normal phone dialer, or you can use it separately based on your personal preference. Conclusion: There are a TON of VoIP apps available on the Google Play store or iTunes. You can explore them to find the one that you like best. Overall, though, using VoIP to get free Internet calling is a fantastic feature that you will no doubt find comes in handy. Lastly, note that most wireless providers now offer this service for free under the name "WiFi Calling". Carriers like it because it offloads data from their expensive broadband networks. You'll want to experiment with your carrier's service versus these 3rd party apps. Your carrier feature has the advantage of being able to hand off to the cellular network (and vice versa) when you're out of range of WiFi, so keep that in mind!